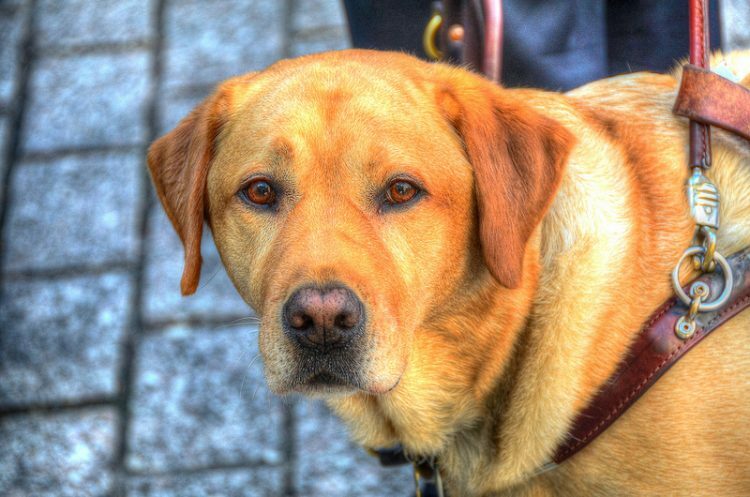 Service dogs help people function in daily life — and offer companionship to boot. With the holidays upon us, it’s the perfect time to reflect on what’s really important. Life can be extra challenging for people who need service dogs to function. The role of the service dog is critical in their lives. These dogs soothe, aid and alert their humans — and sometimes even save lives. For some feel-good cheer, let’s take a look at how the following service dogs have helped change lives. 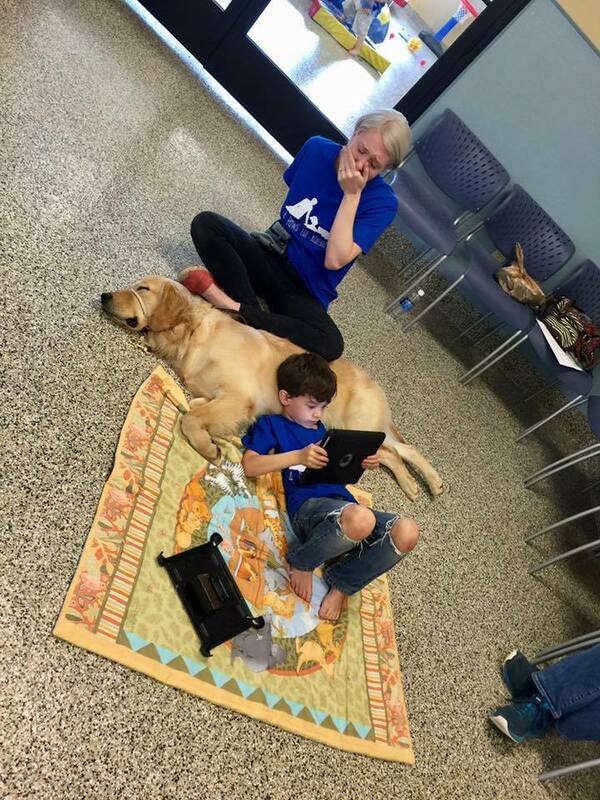 Because of their service dog Tornado, “everything will be okay,” says Shanna Niehaus, who took this photo. The young son of Shanna Niehaus has autism. Parents with children on the autism spectrum know how challenging and heartbreaking this condition can be. Shanna’s son had difficulty allowing anyone to touch him, making daily activities such as dressing, washing and even hugging an ordeal for both mother and son. But the arrival of Tornado brought the family some much-needed hope. “It’s worth every fight for services for my son, every diagnosis, every new provider, every dollar spent, every paper filled out, every school meeting, every shed tear, every step forward, every step back, and every wonder of the unknown future. Somehow because of this — because of Tornado — I know everything will be okay,” Shanna says via a Facebook post. 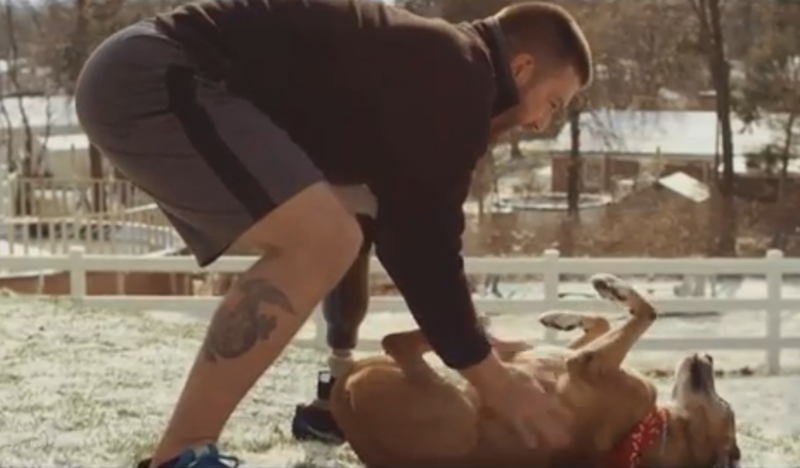 Dan Lasko’s faithful service dog helped him through PTSD. Marine Dan Lasko returned from combat overseas missing a leg and with post-traumatic stress disorder (PTSD), which sometimes affects people for a lifetime. Flashbacks of trauma can trigger anxiety, fear, anger and a slew of other emotions that inhibit “normal” ways of going about life. “I was always looking over my shoulder, thinking that something’s gonna happen,” Lasko says in a Pedigree mini-documentary. Lasko visited his local VA center, which put him in contact with Vetdogs, a charity that focuses on connecting veterans and first responders with service dogs to help them cope with PTSD. Vetdogs introduced Lasko to Wally, who helps Lasko with daily activities such as balancing and bracing, which can be difficult for Lasko with his prosthetic leg. Wally also helps Lasko cope with his anxiety and flashbacks. “Wally’s taught me patience, he taught me loyalty, he taught me how to be myself again,” says Lasko. 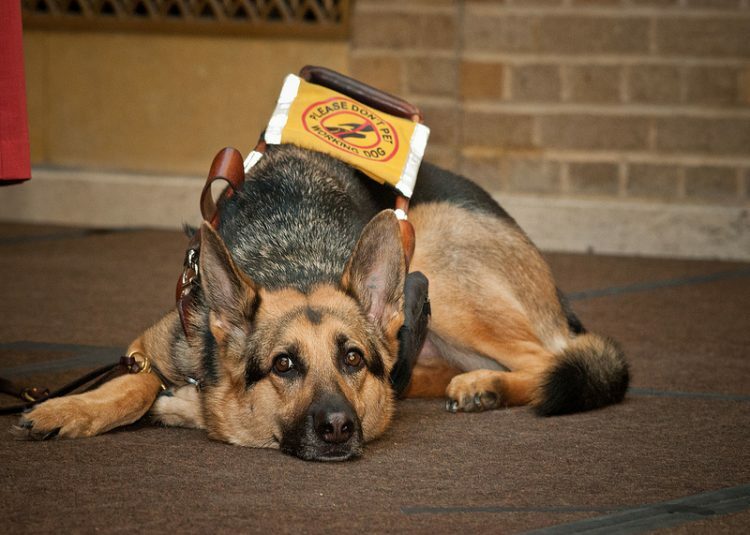 German Shepherd Raider is a service dog and companion to Marine veteran Chris Galliher. “I got Raider when I felt like I was in a dark cave and there was no chance of seeing the light again, and getting him was like having a little glint of hope,” Galliher says to Salt Lake City’s KSTU. Galliher was attending promotion and retirement ceremonies in Camp Pendleton when Raider slipped out the door of their hotel room and was gone before Galliher could retrieve him. “When I lost sight of him, I immediately started panicking, and I didn’t know what to do,” says Galliher. “I was frantic…and I just wanted my battle buddy back.” Galliher searched all night for his beloved service dog to no avail. Happily, Raider was found and kept at a nearby veterinary hospital. When the office opened the next day, staff members helped Galliher and Raider reunite. Golden retriever Figo saved his human’s life one summer day in 2015. Audrey Stone has severely limited vision and is considered legally blind, according to USA Today. The pair were taking their usual daily walk and had just started to cross the street when Figo noticed that a mini bus was approaching. He immediately placed his body between the bus and Stone. After multiple surgeries, the pair recovered together and are grateful to still have each other. Service dogs provide support, companionship, care and love to their handlers, helping their humans function daily. This holiday season, consider making a donation to a reputable charity, such as Paws With a Cause, to help unite service dogs with those in need — a real gift of love.